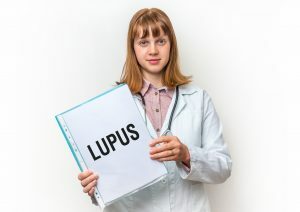 Environmental Exposures & Lupus: Is There a Connection? Lupus, an autoimmune disease in which the body attacks its own healthy cells, is a crippling condition for some and affects millions of Americans each year. For those who knowingly have the disease, many have reported worsening symptoms within days of being around smog in crowded cities. In a recent study conducted in Montreal, Canada, it was shown that being around increased airborne pollution and particles had a direct correlation with severity of the disease among lupus patients. Lupus is a chronic condition that causes swelling and inflammation in the joints, and can also affect many organs in the body. The disease affects primarily women of childbearing age, although some other populations also are affected. The way lupus works is complicated—it is believed to result from a combination of genetic and environmental factors. The affected person’s genes make them prone to the disorder, and pollutants activate it. Symptoms of lupus can vary greatly, and they can come and go at random. Some common symptoms include sensitivity to the sun or outdoors, chronic joint pain, excessive blood clotting, and a rash across one’s cheek and nose. 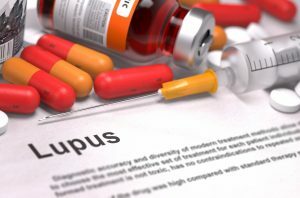 It is often hard to pinpoint lupus as the root cause of these symptoms because all of them can be indicators for other diseases as well, and not all necessarily occur simultaneously. Many people go years without a diagnosis. Lupus is ongoing, with periods of ups and downs. What causes the “downs?” While many correlations have been made between lupus and certain environmental factors, no results tell us definitively what causes the flare ups. Environmental pollution has shown clear connections, however, with causing symptoms to surface. Specifically, fine particulate matter (PM) present in pollution has demonstrated the ability to interfere with our body’s natural immune responses. Among the general population, these types of PM are associated with greater mortality during seasons when they are at their peak, such as high traffic season when vehicle-related pollution is high. The study was conducted among lupus patients at a university hospital in Montreal, Quebec. The 237 patients were carefully examined for a period of 7 years to monitor what symptoms they experienced as well as any internal damage measured. Interviews regarding daily symptoms as well as blood and urine tests were conducted. The laboratory tests tested for the presence of certain proteins that relate to organ damage in from lupus. They also looked at certain antibodies known in lupus to attack body tissue. Not only were patients monitored, but so was the air of their environment. At stations throughout the city, levels of PM over 2.5 micrometers were measured every hour during the days leading up to every reevaluation of the study participants. The study also considered climate, including such factors as daily temperature and ozone gas levels. Because both of these factors can affect how our bodies react to PM, they were adjusted for in the study. Personal factors like race, ethnicity, and gender were also taken into account when evaluating the patients and interpreting the results. What did the study find? As predicted, the amount of PM in the air were directly correlated with worse lupus flare ups. Even on a cellular level, the lupus-linked antibodies and proteins were shown to be altered after the patients were recently exposed to the higher pollution. More recent exposure caused greater alteration than exposure from more than a week in the past. The results showed that patients with this recent exposure, within one or two days, made worsening symptoms almost twice as likely to occur. This study serves as one of the first examinations to prove a correlation between air pollution and lupus, and with autoimmune disorders in general. One thing that this study did not take into account, however, was what indoor pollution individuals may be exposed to. Studies have also shown that, even in crowded cities, air quality indoors can be many times worse than outdoors. This is because there is no natural ventilation inside buildings, and the air along with any pollutants can become trapped and more concentrated as time goes on. The study did tell us one thing, however—to limit lupus flare-ups sufferers should contemplate spending less time around smog and polluted areas. They should also make an effort to be around fresh, clean air in general, whether they are indoors or outdoors. PM concentration directly has an effect on how our autoimmune responses work, and on how our bodies respond to autoimmune diseases. How Can Potential Disease Causing Pollutants in the Home be Combated? PM and volatile organic compounds (VOC’s) have already been proven to negatively affect the health of autoimmune disease patients, those with allergies or chemical sensitivities, and of the general population. What can be done to combat these harmful pollutants, then? As mentioned earlier, the cleaner the air, the better. Patients with chronic autoimmune disorders should take care to not spend a lot of time in congested traffic areas or industrial zones with a lot of pollution. Perhaps more importantly, they should take measures to ensure the air in their home is free of PM and VOC’s. After all, we spend probably just as much time in our home as we do outdoors. Apart from opening windows and turning on fans for regular ventilation, one of the best solutions to rectify poor indoor air quality is with a high-quality air purification systems. Some systems, such as those that use carbon filters or other synthetic filter materials, merely trap the particles in the air, risking their release back into the air again while the purification system is running. The best solution is the EnviroKlenz Mobile System, a HEPA air purifier that not only traps harmful particles in the air but also removes and neutralize chemicals odors and VOCs from your indoor environment as well. The EnviroKlenz Mobile is ideal because it can cover a large area—up to 850 square feet—and is mobile, so you can move it from room to room as needed. EnviroKlenz’s unique patented air cartridges, combined with the HEPA filtration, ensure that the air in your home is as clean as possible so that you can get your symptoms under control fast. Most customers see a difference within two days of using the machine. Order your EnviroKlenz Mobile today.